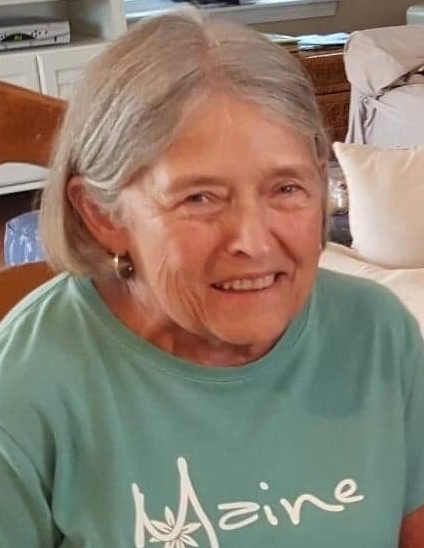 North Concord, Vt: Mildred “Milly” Hazel McGennis Joslin, 70, of Miles Pond Road in North Concord, Vt. passed away at her home on Tuesday, September 11, 2018, following a battle with cancer. Milly was born on April 9,1948 in Barnet, Vt. to Robert and Arlene (Nutter) McGennis. She was raised in Barnet and attended local schools graduating from St. Johnsbury Academy, Class of 1966. She worked at New England Telephone Company and then as a bookkeeper for Don’s Wayside and All Around Power. On June 19, 1971, Milly married Roger E. Joslin. They have lived in North Concord for the last 47 years. Milly loved to travel. Not one to be held back, she and Roger made one final trip after she was diagnosed with cancer to see the remaining states that they had not yet visited. Some of her favorite trips were to Laughlin, NV. She enjoyed stops in Memphis, TN along the way. Milly always really enjoyed her sisters’ weekend in Maine every year. When not on the road, Milly liked to read and work in her flower bed. Milly is survived by her husband of 47 years: Roger E. Joslin of North Concord; her mother: Arlene McGennis of St. Johnsbury, Vt; a daughter: Jill Joslin Bell of Miles Pond, Vt; four sisters: Jean Vaughn and Gloria Hall of Arizona, Linda Daley and husband, Dwayne, of Maine, and Penny Densmore of Vermont; and many nieces and nephews. She was predeceased by her father: Robert McGennis; a son: Brett Robert Joslin; and a daughter: Christina Lynn Joslin. At Milly’s request, there will be a Celebration of Life on Saturday, September 22, 2018, 4-7PM at Miles Pond Pavilion. Everyone is invited to enjoy good food and great music, but please, bring your own beverages (beer, wine, etc.). Donations in Milly’s name may be made to these suggested charities: Norris Cotton Center North, 1080 Hospital Drive, St. Johnsbury, VT 05819; Caledonia Home Health Care and Hospice, 161 Sherman Drive, St. Johnsbury, VT 05819; and Multiple Myeloma Research Foundation, 383 Main Avenue 5th Floor, Norwalk, CT 06851. Memories and condolences can be shared with the family online at www.saylesfh.com.